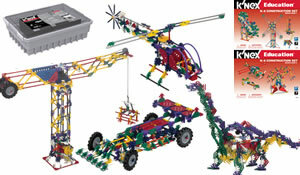 Celebrate almost 25 years of K'NEX with the 3-in-1 Classic Amusement Park Building Set. 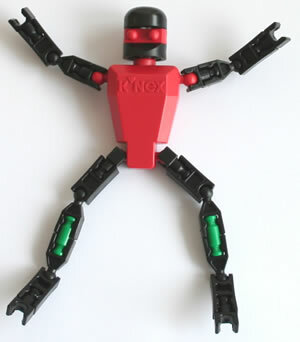 One of the original K'NEX building sets, this set demonstrates everything that K'NEX stands for. This version of the set is supplied in plastic bags only, which greatly reduces the shipping cost. The instruction book includes step-by-step instructions for the first two models. 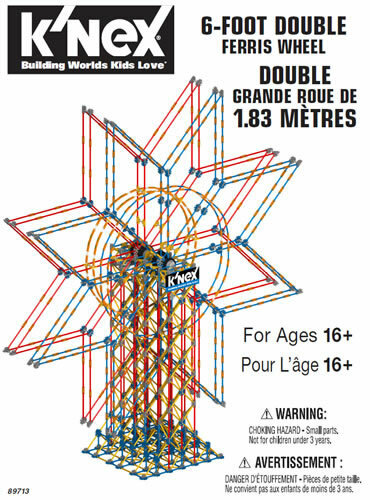 Step-by-step instructions for the Boom ride are available online. Models can be built one at a time. Requires 2 "AA" batteries (not included). 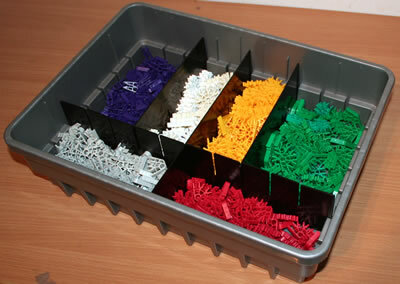 This is also an excellent set if you want to build motorised K'NEX models to your own design, either at home or in school. Click here and enter set code 17035 to download all the instructions for this set.